Can you tell us a little bit about how you got started and what you’re all about? About 5 years ago, I started practicing yoga and meditation everyday. So naturally, essential oils for health and wellness became a part of this daily practice. The more I looked into their properties, the more I found many companies were dishonest in their advertising. It was so disappointing to discover some of the top essential oil companies were using ‘trademark terms’ to disguise their products as pure, organic, or authentic – when this wasn’t the case. 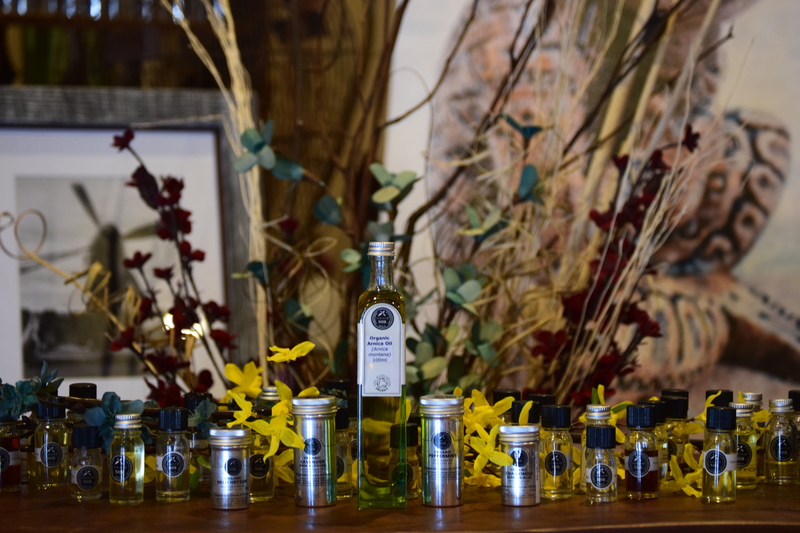 In my eternal quest to find pure and authentic oils, I started going to aromatherapy classes to learn more about authentic, organic, food grade essential oils. Over the next three years I did some thorough research, sending many oils to labs for quality and purity testing. And finally, I found the company I wanted to represent: NHR, out of the United Kingdom. My business is still growing, and I’m learning new things about oils everyday. This will be a lifelong journey but I feel so lucky to have pursued it! My home and shop is located near the beautiful Cave Creek in Arizona. If you haven’t been here, you should definitely check it out someday. Mountains, sunsets, rodeos, wine festivals, hiking, biking, horseback riding, everything is here! We have a wonderful array of people from all walks of life. I’m surrounded by animal lovers, yoga enthusiasts, and spiritual seekers. Since our little town is so beautiful and full of life, we have a high volume of tourists during the winter months. What brought you to Vend and how have you found it? Would you recommend Vend to retailers like you? Before starting my journey into yoga, meditation, and essential oils, I was a programmer for over 22 years. I focused on point-of-sale systems for retail, accounting, golfing associations, restaurants, and sales industries. And if there’s one thing I learned, it’s extremely important to start out with a system that will grow with your company. I love Vend’s integration options, they makes daily sales entries a breeze. When I first started researching Vend I wasn’t even aware that an ecommerce module would be available at some point, so it’s exciting to see these updates come up. I haven’t adopted Vend Ecommerce yet, but am hoping to in the future. And while all point-of-sale systems have some sort of weakness, I truly don’t have a lot of challenges with Vend. It’s a super solid system with a few quirks, but so far the support team has found a solution to every issue in a timely manner! It’s great. What does your passion come from for what you do? Not only have essential oils made my life healthier, they’ve inspired me to help others. I learn something new everyday and I can’t wait to share that knowledge with the next customer that walks through my door. It’s so exciting to see these oils do their magic, helping people with chronic pain, depression, anxiety, hormone imbalances, and respiratory problems, to name a few ailments. And this passion continues to grow with each person I inspire, or help improve their wellbeing. You definitely want to appreciate and believe in what you’re selling, because people are always going to ask questions about your products. Be prepared for challenging questions! And when you’re the new kid on the block, have all your research ready and accessible. Know your products, and your customers, inside and out. I have so many great stories, but one that especially comes to mind was about an older gentleman going through chemotherapy. He had serious foot pain and swelling, so I recommended some oils that were known to assist people with long term exhaustion, pain and swelling. His daughter came in a few days later telling me how happy he was, that he could get out of bed without foot pain for the first time in months. Stories like those are always wonderful to hear. When studying these oils on a daily basis, you can’t wait to hear how well they work. All you need is a beautiful story like this to motivate you to continue studying and helping more people. 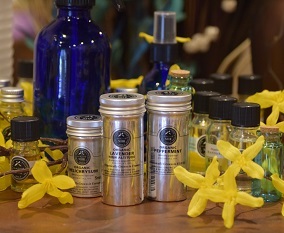 The post Vender of the Week: Zona’s Essential Oils & Art appeared first on Vend Retail Blog.